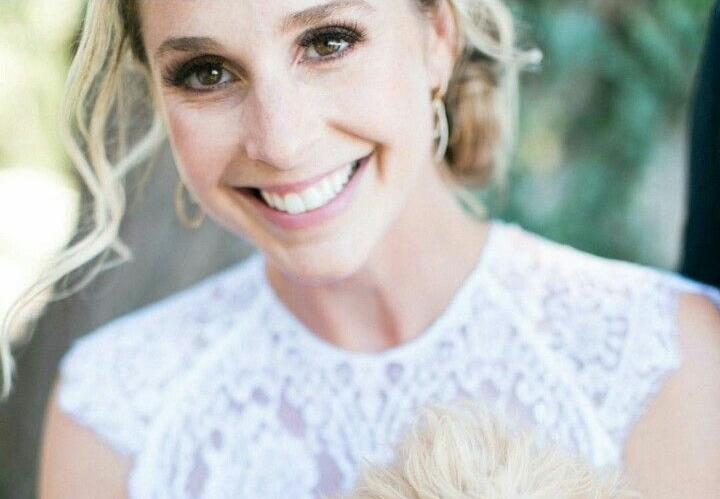 This Buzzfeed beauty and her now wonderful wife were married at Roche Harbor in the summer. These two were the best to work with and allowed me to get them ready in their own separate island cabins. Niki went for a chic bun with classic makeup and Kelsie opted for a side swept glamorous look. They had family all around them that day and lots of friends all the way from Los Angeles to help them celebrate. 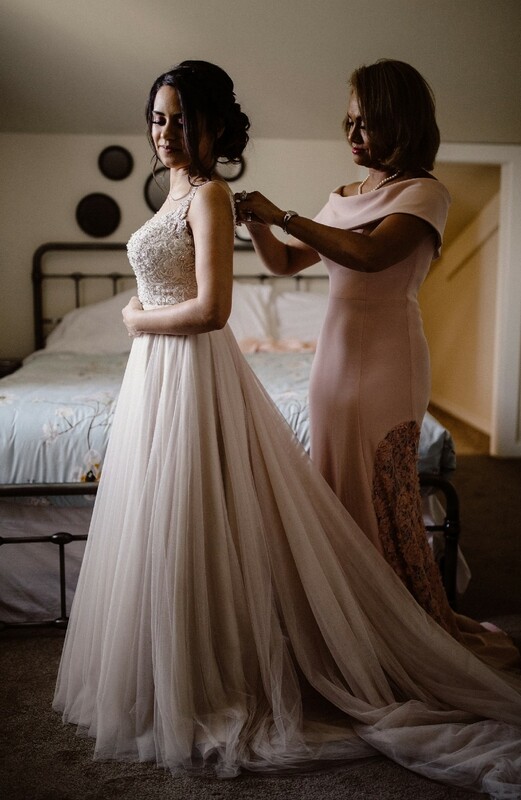 It was a pleasure to assist both prepare to be wed as it was refreshing to see one bride find the finishing details is the perfectly tailored suit then to see another find such femininity in a strapless tulle skirt gown. Their story was one of the most moving and they were truly meant to be. Love is love no matter what! 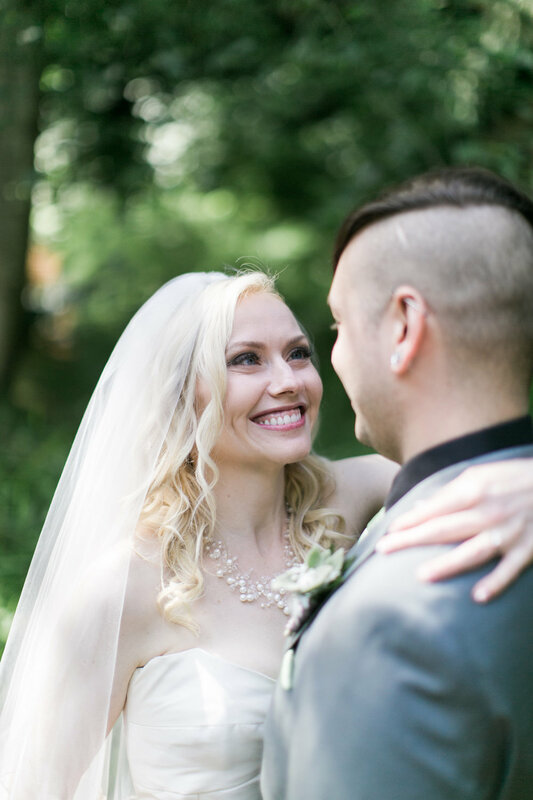 Enjoy their featured wedding on Junebug weddings! It was such a joy to see my long time client Hannah say "I do" to her love Blake in front of their family and friends on the beautiful grounds of Lakewold Gardens. The historic venue was such a romantic setting for the ceremony and reception. 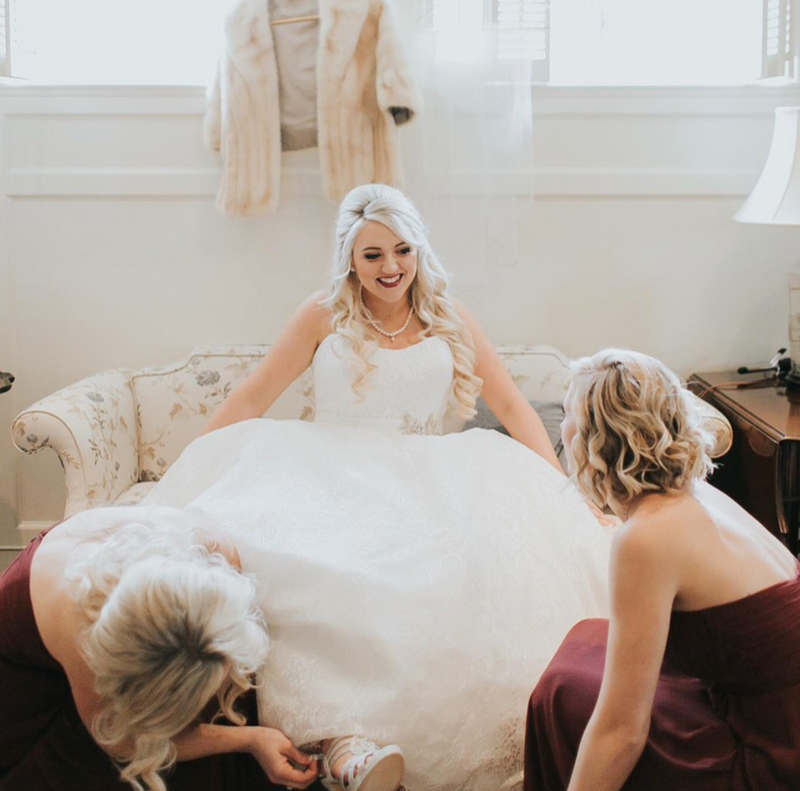 Hannah and her bride tribe were beyond fun while they were reminiscing about college days and the love the bride shares with her now husband. 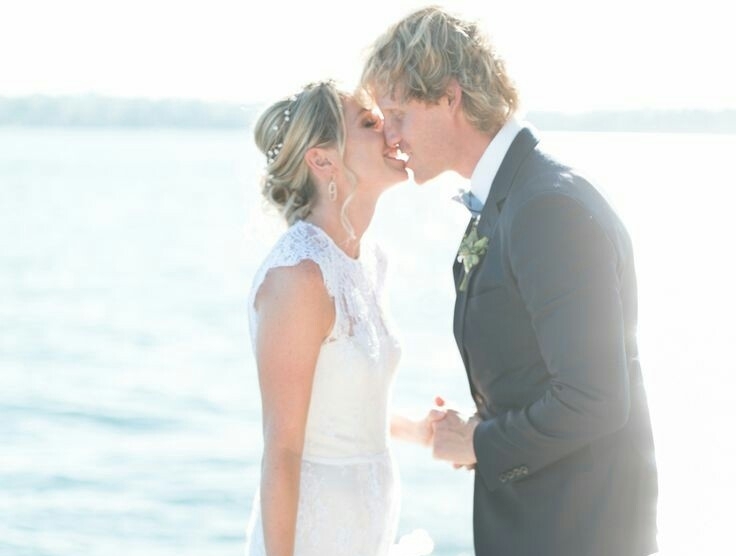 Hannah shined with a airbrushed golden glow and a romantic inspired updo that set the perfect spot for her cathedral veil. 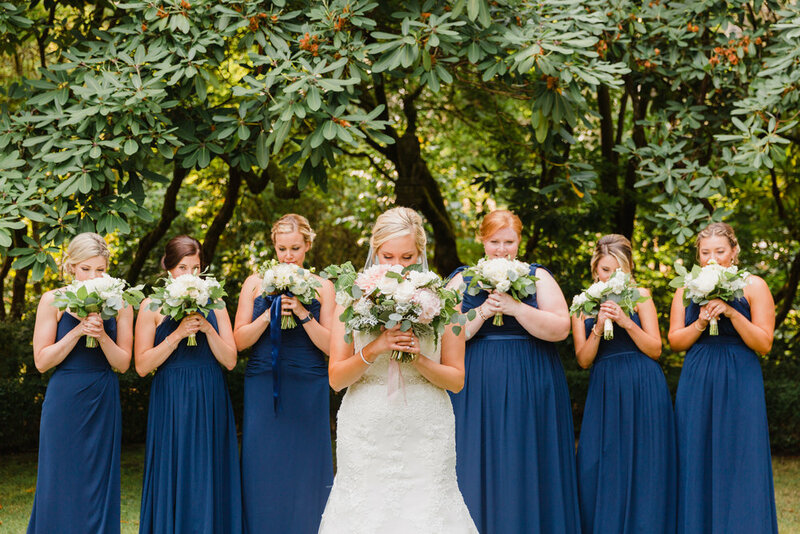 Her bridesmaids were gorgeous with their own soft styles to pair with their long navy gowns. Mothers of the Bride and Groom were both elegant in their updos and dresses that complimented them just so. The day was filled with plenty of joyful tears. One of the most beautiful moments was the father and daughters dance at the hotel.. A love a father has for his daughter is immeasurable, to see them at that moment makes me cherish the opportunities I get to see clients venture into a new chapter in their lives. This lovely couple had the most stunning of wedding days which they both deserved! View their featured wedding on Carats and Cake! Think intimate wedding... then add Lake Washington, Seattle summer weather and a new puppy...that was this perfect couples wedding day on Mercer Island. Elizabeth and Kurt were married on the warmest afternoon on family property surrounded by friends and family while the lake splashed on the beach. Their intimate day started like most do with bridesmaids gushing about memories before marriage. 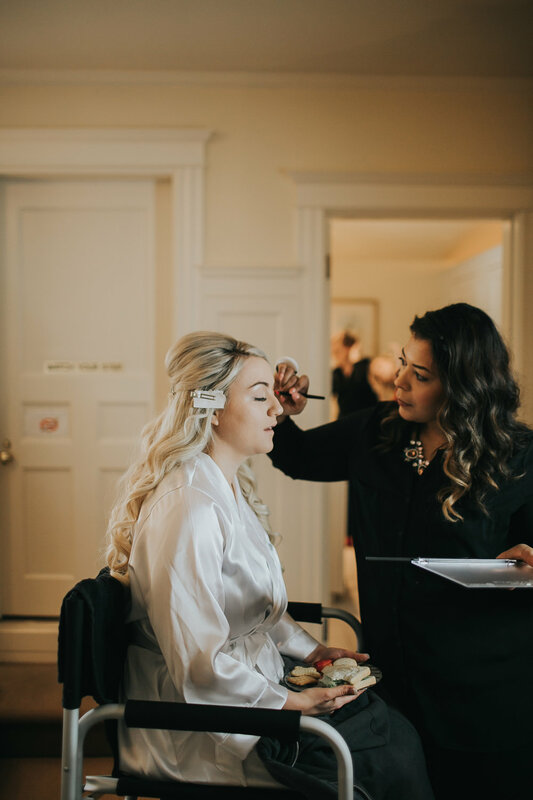 Her most special ladies including her sweet sisters were among her getting ready crew that confirmed our pieced loose up do and fresh faced with lots of lashes was the winning look. 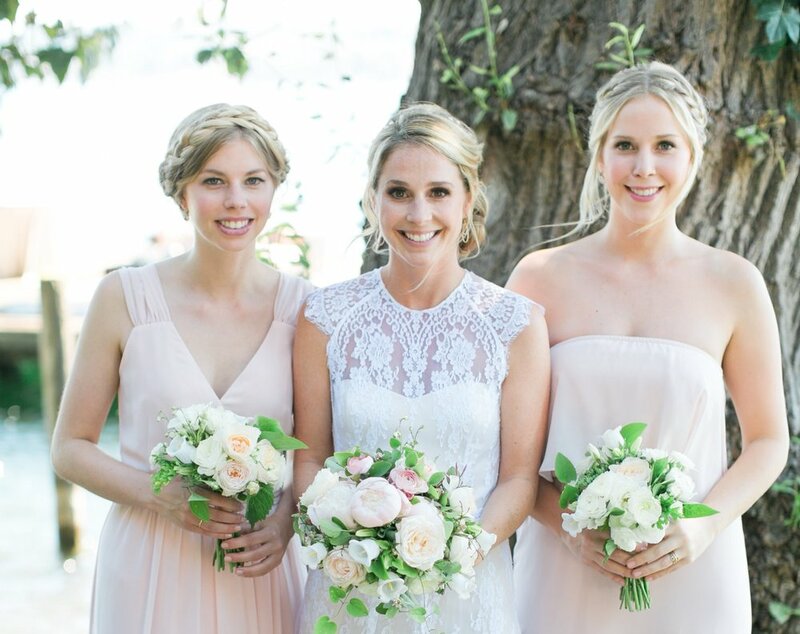 Braids were the best addition to her bridesmaids blush dresses that were summer stunning. 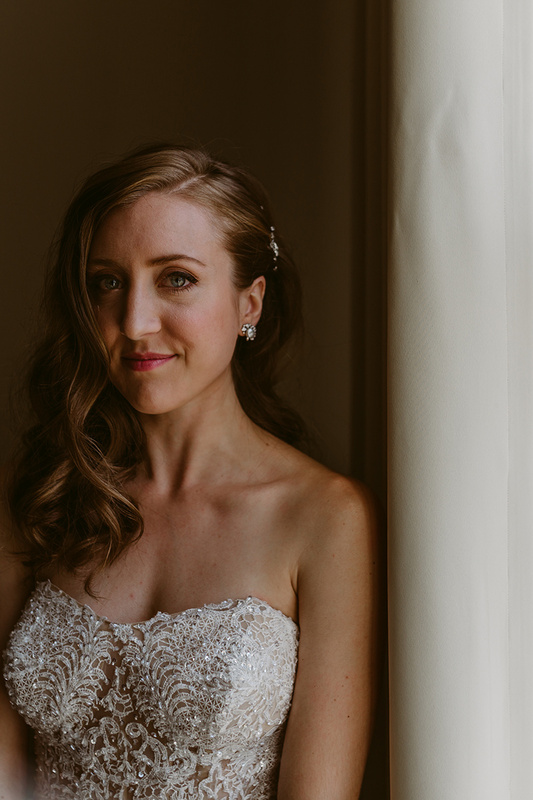 Elizabeth was a classic bride that was just as sweet as she is gorgeous! Visit their featured wedding on Carats and Cake! 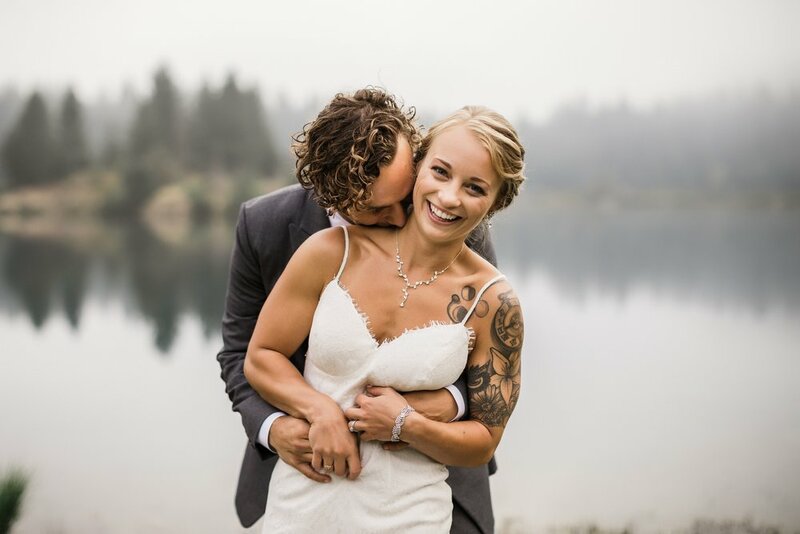 These two had a intimate lake elopement up off Snoqualmie pass with a small amount of family to witness. Aerials aisle was lined with lovely wild flowers of purple and gold to lead her to the mirroring lake view where they both said sweet vows. 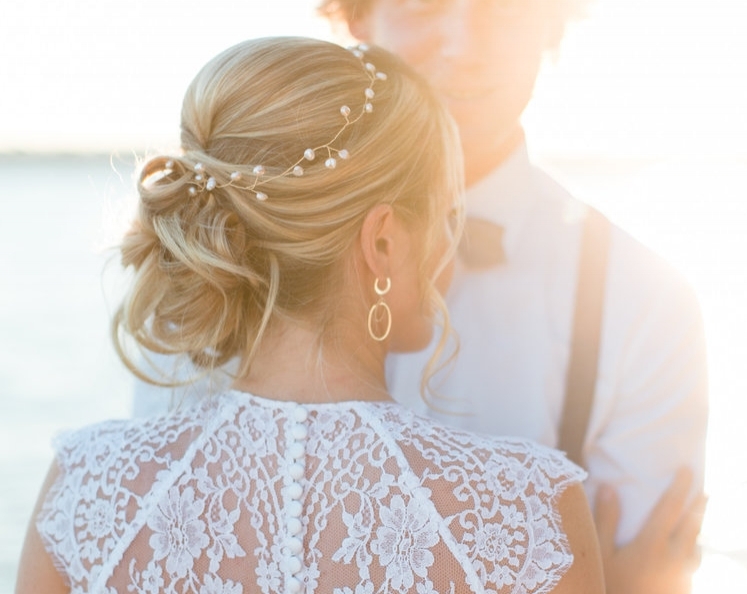 We achieved a beautiful romantic up do with her shiny blonde locks. It was a perfect pairing with her low back dress and soft natural tones on the eyes. The surrounding beauty of their location added a wonderful ambiance to such a wonderful day. 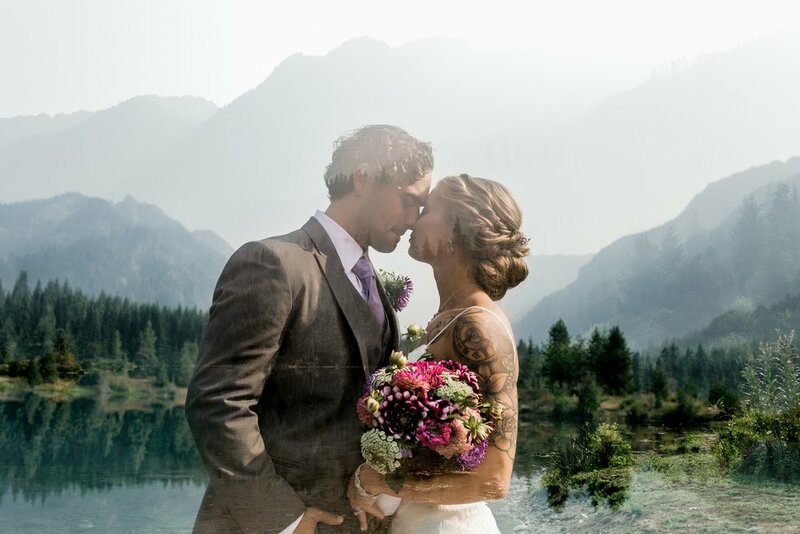 Surround yourself with nature and make your elopement a intimate one because if it can turn out anything like this loving couples it will be so worth it! This lovely couple came to the pacific northwest for a dreamy mountain top elopement and it was everything they imagined. 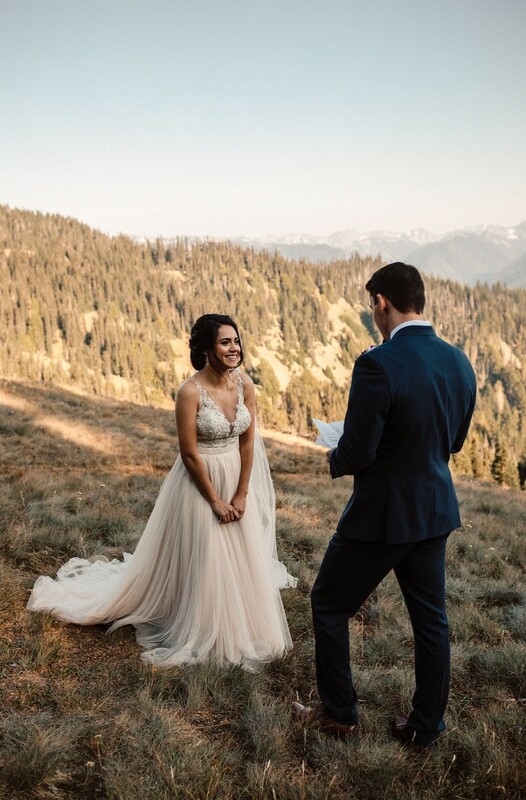 The vast mountain view and even some sweet dear were just the setting for a intimate “I Do” with family and friends watching. 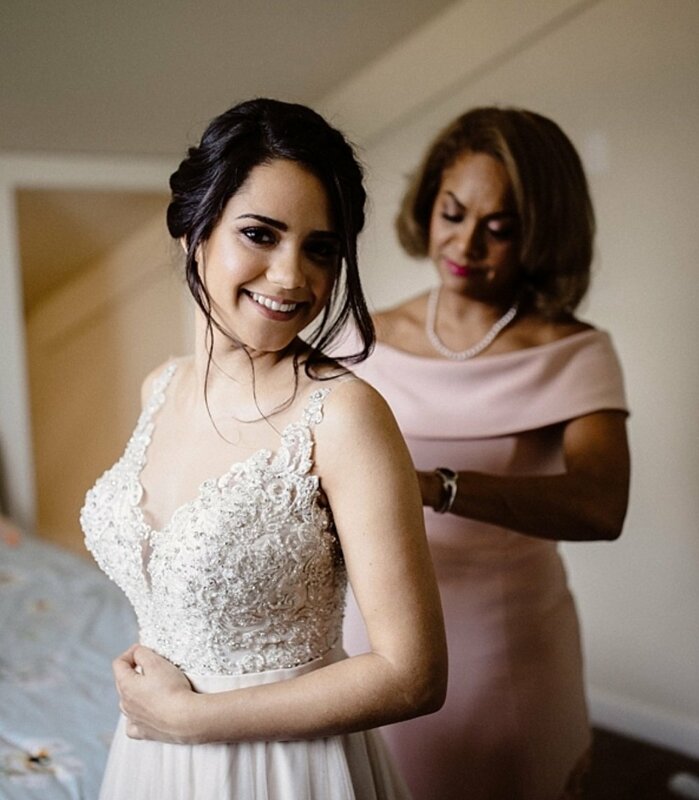 Celenia went for a beautiful bridal look with a romantic braided up do and a cranberry smokey eye to compliment her subtly blush pink dress. 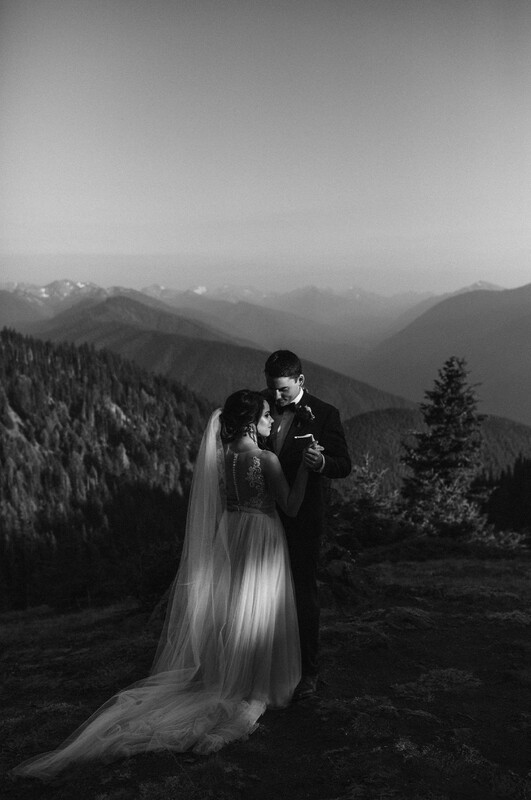 She looked radiant as she exchanged vows with her dapper dressed groom on the grassy hills overlooking Hurricane Ridge. 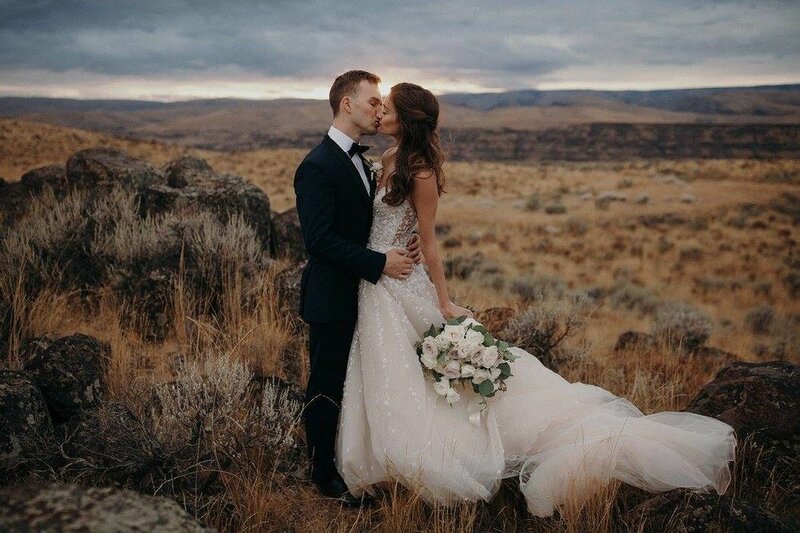 Seeing a couple so in love and celebrating what is most important is so amazing while taking in all that our pacific northwest nature has to offer. 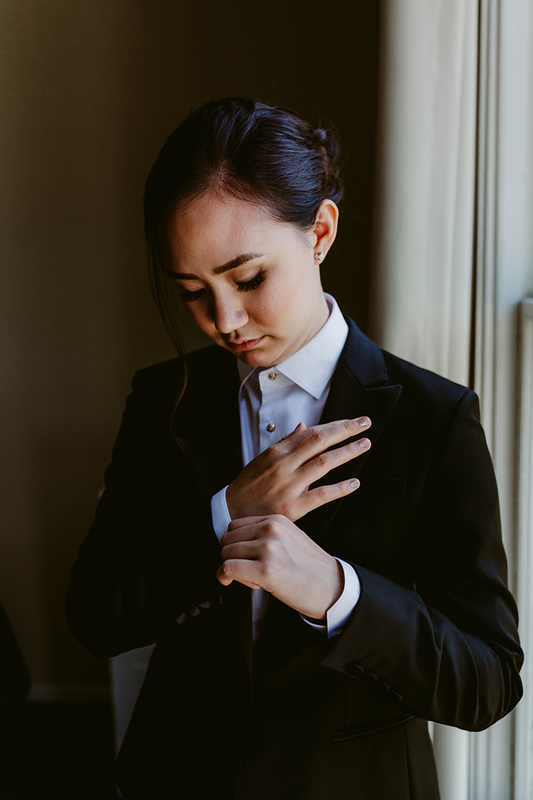 Destination wedding or just a simple elopement don’t hesitate…it’s always a good idea and I am happy to get you gorgeous! On the grounds of lush greenery and away from the hustle of the city these two became one. JM Cellars set a romantic stage for the ceremony and reception for their intimate gathering. Nader held his bride Erin with such love from their first look to small bites on a lighted terrace. 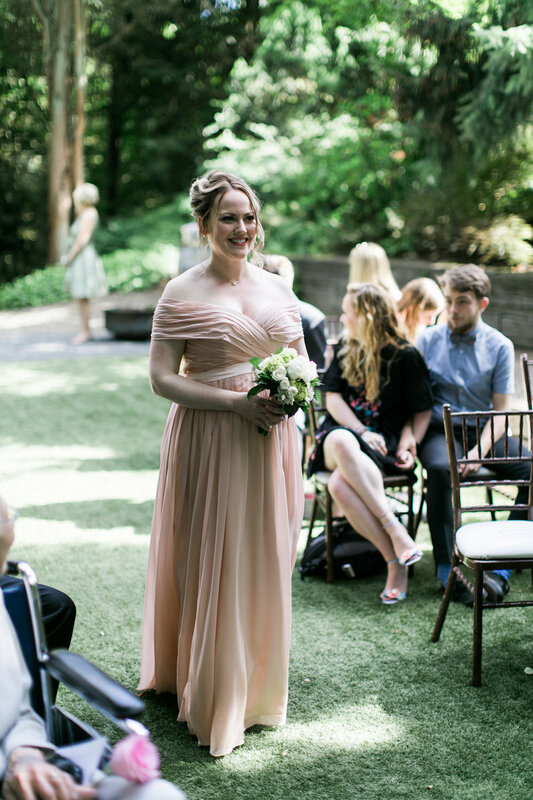 The bride was a elegant blonde beauty with extensions a flow over her strapless silk dress. Her smokey eyes of taupe paired with soft rose lips gave a look fit for a summer beauty. Her Mother and sister were beautiful as well both chose traditional updos to compliment the classic styles of their dresses for a warm summer night. It was such a joy to see the Bride and Groom commit their love to each other. It warmed the heart and soul of all that gathered to celebrate the union and love of this wonderful couple. I am so glad I was able to be apart of such a lovely day! 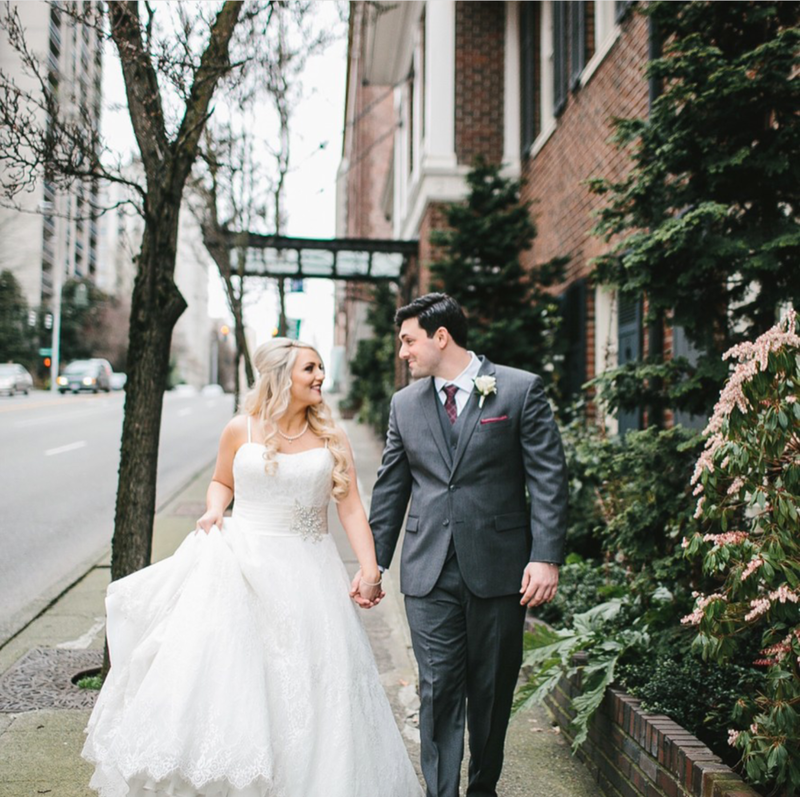 This loving couple decided to marry at one of Seattle's most prominent places to entertain, the Sunset Club. 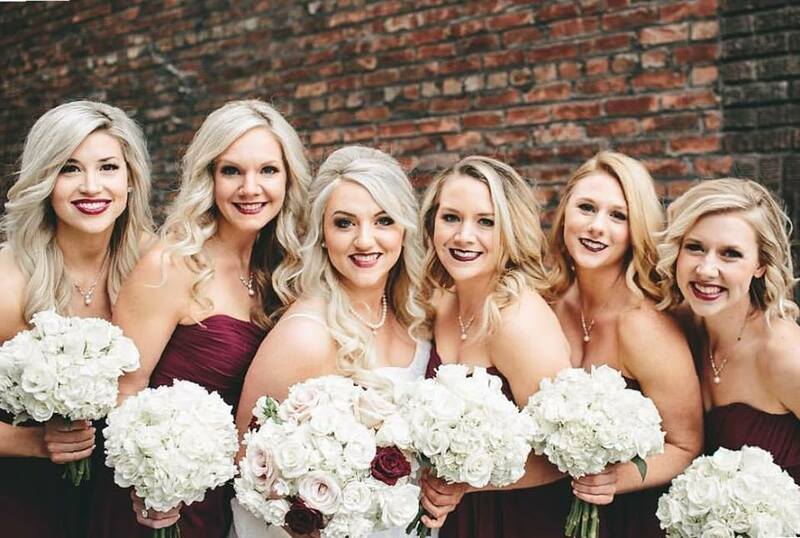 Mary Jane and her beautiful blonde bridesmaids graced the historic grounds in romantic shades of cranberry from their gowns to lips. Her wedding party of five surrounded her with energetic love that gave her such joy she couldn’t help beaming. Airbrushed flawless skin, smokey eyes, fluttery lashes paired with her full berry lip made for a perfect glamorous look. 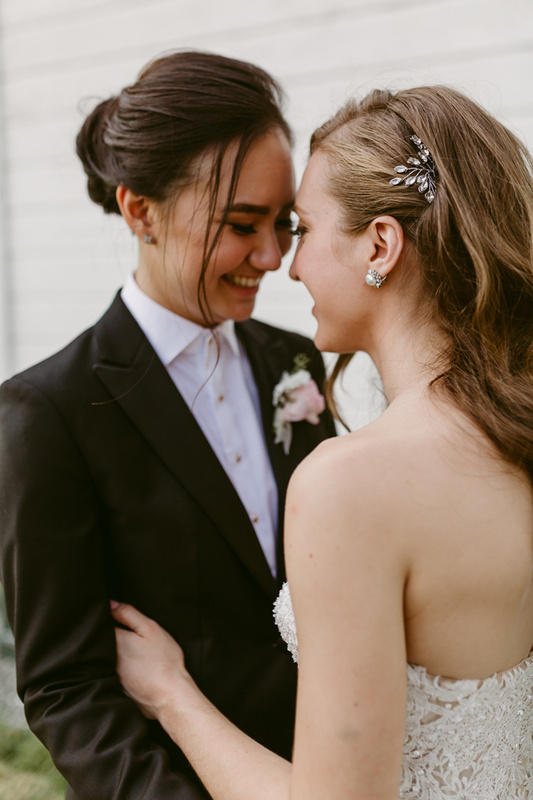 This pair gathered together in front of many to celebrate love that is rare and even the bride shed a tear or two knowing this was true. Thankfully her makeup stood through the emotional toasts and loving kisses making sure she was stunning from morning to sunset. Autumn weddings give those fall feels that make it intimate and cozy for all that attend. The ceremony of Dana and Nile included sweet nuptials that brought even the littlest member of the family Hazel into the “I Do” moments. This redheaded beauty of a bride was a delight to work with and really had a bridal look that was signature to her. From Gold boots, to her stunning illusion dress it was the perfect pairing with her loose waves and warm toned makeup look. We opted to give her fantastic skin with airbrush to make sure she remained flawless from her kisses to dancing. We even got the opportunity to doll up the cutest flower girl ever because after all it was her day too. Ending the epic evening were Llamas on a white lighted terrace and cheers with champagne. The warm breeze in the Washington wine country was the perfect setting for the this couples wedding day. Lush greenery and vineyards in the distance set the mood for the evening of love. 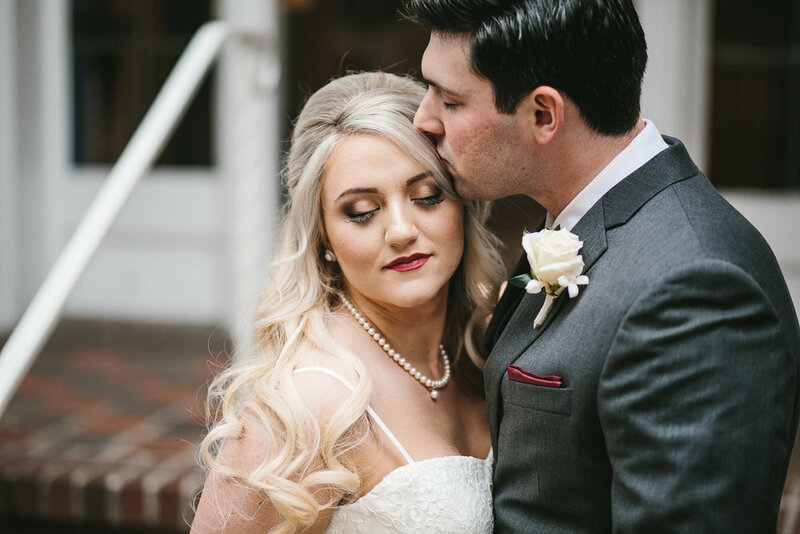 The gorgeous Bride had the perfect pairing of loose waves and warm bronze airbrushed makeup to walk down the aisle . Brooks wedding party all chose updos that were suited to their own unique styles to compliment their blush dresses. 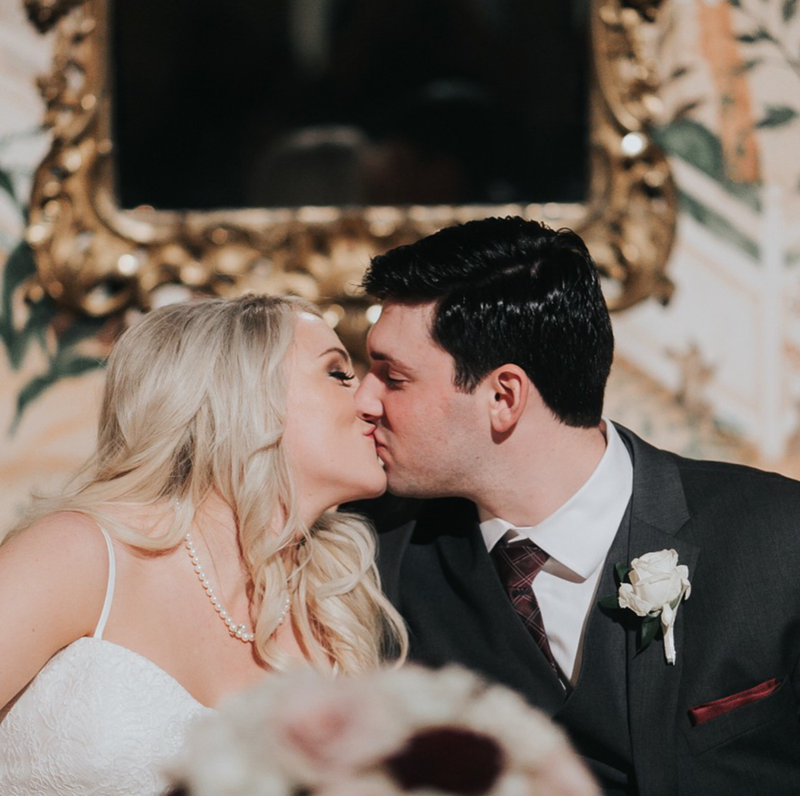 Surrounded by full blooms of white, cranberry and blush with family and friends these two devoted their love. It was an all day celebration for all. Well wishes go to this beautiful couple and the exciting future that is to come! 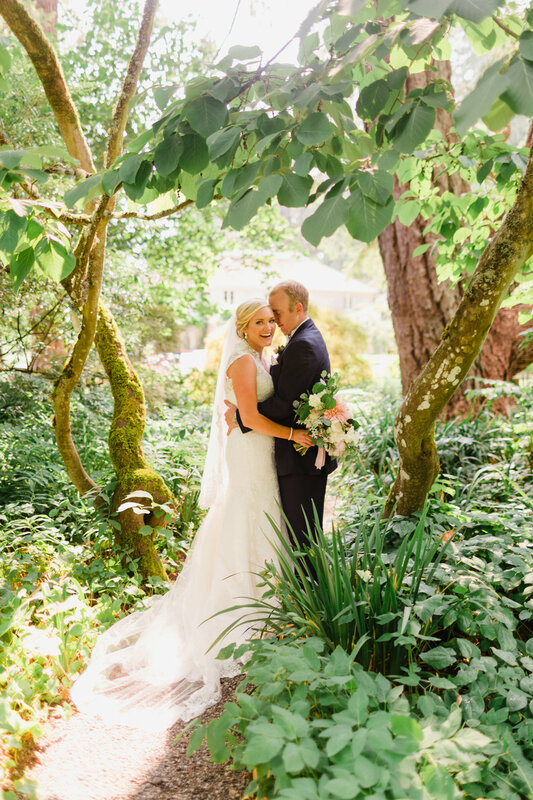 Classic and traditional came together effortlessly for this summer wedding at the Hollywood School House in Woodinville, Wa. 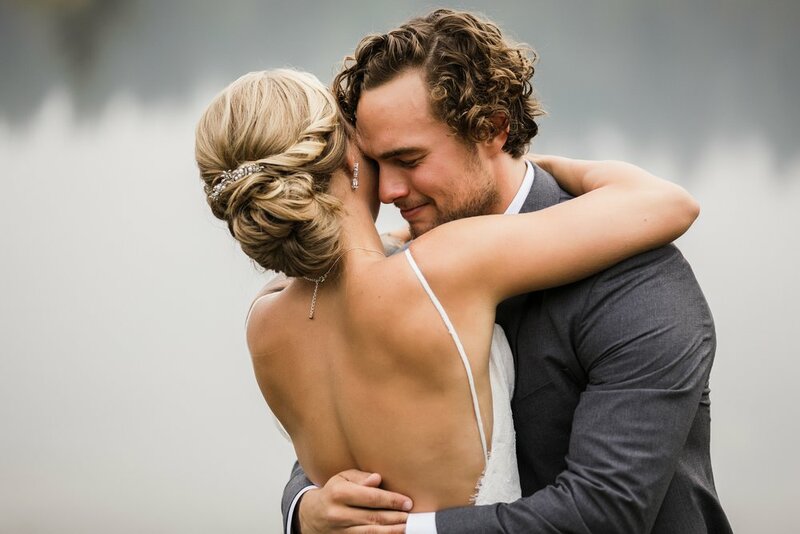 Tonya captured classic beauty from ceremony to reception with complimenting hairstyles of half up loose waves and a sophisticate updo. Her excited beautiful glow was enhanced with airbrushed makeup and soft rose gold hues. Her Bridesmaids were all smiles with pretty shades of blush to pair with loose waves of all styles. Jeremy was as dapper as they come along with his clean cut groomsmen in suits of blue. All who attended enjoyed being surrounded by the loving atmosphere to celebrate this couple that was made official in Hollywood. The adventure of love started the moment they met and continued on a wonderful path after saying “I Do”. This lovely couple was married on the cliffs of the Columbia River surrounded by friends and family on a beautiful summer day. The vast views were a stunning backdrop to their ceremony. Lisa was a beauty seeming to float on the cliffs with her soft waves and rose tones highlighting her natural beauty. 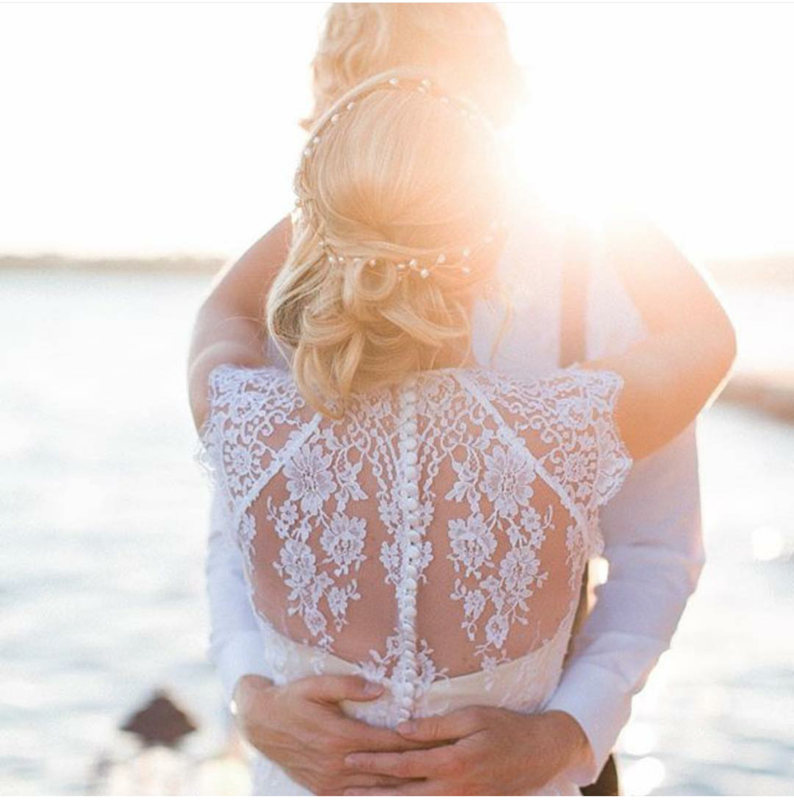 From the moment she put on her Ines De Santo gown the day was just nothing short of magical…just like finding the love of your life!